Amps from the 1980's -- What gear holds up sonically? Reliably? For me, the 1980s were a real "golden age" of amplifiers. Dr. Leach’s paper on building a low TIM amplifier had been widely distributed and relied on by budding designers, and lots of boutique brands came. It was also the era of the biggest of the Conrad Johsnon tube amps as well and the invention of the MOSFET. This was also the speaker era of Snell and Apogee and Martin Logan. I am not sure there would be a Krell today if it wasn't for Apogee's 1 ohm speakers. I’m curious who is still listening to these vintage pieces, and which brands you think have stood up both in terms of reliability and / or sonics ? Tandberg made the best looking amps in this era to me. They also were one of the few amps that could drive the Snell A series to justice in the bottom end. But listening recently, man, they really did sound grainy and nothing like your average modern amplifier. The Adcom power amps of the late 1980's, (535, 545, and 555) were the transition for many of us from receivers to separates and the high (er) end. Second the Adcom amps. Still have a Carver 1.0T also Spectro Acoustics made some nice stuff. The best thing about the 80's was you you afford the equipment you read about in Stereo Review and The Absolute Sound. Isn't that the truth?? !! Accuphase would, in my view, be very high on any such list. I currently use a recapped and upgraded E-303x, and it is superb. I believe the Aragon 2004 and 4004 were both introduced in the late 80s. Very well built, reliable amps, and a step up from Adcom GFA 555 IMO. How about a shout for Jeff Rowland? His equipment was just tougher to see at the audio stores back then. For solid state, the Electron Kinetics Eagle 2 and Bedini 25/25. For an amp with the power of the above-mentioned Adcom 555 but with far better sound, the PS Audio 200C. Plus, it doesn't blow up speakers as the Adcom is notorious for doing. I used to own a pair of Kenwood L-07 monoblocks that were sweet. Clean, clear, and strong enough for the space and my taste of the era.
" The best thing about the 80's was you you afford the equipment you read about in Stereo Review and The Absolute Sound. " Not if you had a coke problem. A +1 for Electron Kinetics, and let's not forget McIntosh. I saw a lot of Electron Kinetics but never really listened. I’m going to get murdered in my sleep, but I have never liked the look of McIntosh gear, so I rarely if ever listen. :) It makes me shiver and think of fake wood paneling. I have to say I did NOT like ARC in this era. I like them a lot more now. You don’t have to agree with me, but I think most of us would agree they are two different beasts. Also, I haven't listened to CJ seriously in ages. The ART pre and everything after I never listened to. A brand I also liked, but I may be breaking my own rules, was Sonic Frontiers. I think they were 1990s? You're not the only one who's going to get murdered in your sleep, as I have yet to find a McIntosh component that I liked the sound of. And I find them hideously ugly. My intro into audio was as a young college student in the early 90's. I liked electronics but the only thing I could afford were things at the local Pawn Shop. I came home one day with an 80's vintage Sony amp that I found curiously had the letters "ES" printed on one corner. I didn't know at the time exactly what that meant, but it sounded much better than anything else I had heard. A couple of 80's speakers I had Clarke System and JSE both were very good. sfall said..."Not if you had a coke problem." What got me interested in many of the amps mentioned above, was GAS (Great American Sound) of the mid to late seventies. It was their Ampzilla that moved me from Sansui over to the higher end, where I would later discover Threshold and Mark Levinson. I could not afford either of these brands and wound up with that Carver cube. I paired that with a Counterpoint preamp (SA-?) and SOTA distributed Audioplan Kontrapunkt mini monitors. That really put me on the merry-go-round. I personally preferred the sound of a Nakamichi PA5 power amp over the Adcom 555 or even the Adcom 565, jmo. Nakamichi cassette decks were considered top tier back in the late 1970s and 1980s. I also think the Onkyo Integra (M-504, M-506RS etc.) and Mitsubishi DA-Series amplifiers sounded quite respectable. care to make comparisons to current products? Like the Nakamichi/Threshold / Pass crowd. How do those amps stand up today?? As seen by the comments and OP, a long list of candidates. I'm a little surprised by the omission of NAD. I still use a 3020 to power the speakers with my flat screen TV. I also still have a pair of Eagle/EKSC 400 monoblocs although I don't need them. I believe they remain one of the best amps for speakers requiring high current so they are particularly good as subwoofer amps. In general I'll agree it was a golden era for decent products at affordable prices. Aragon, B&K, and NAD 3020. Owned all 3. B&K ST140 was my first. Two systems, as I think back over my audio salon haunting days, that I still remember as blowing everything else away: Audio Research D-79b/SP-6b on Martin Logan electrostatics and Levinson ML-2/ML-1 on Magnapan Tympany IV. I don't remember the sources, but they were both turntables. The Levinson was the most impressive. I couldn't afford them back then. I've actually thought of buying a pair now, but they are 40 years old, and the last vintage amp I bought (British Fidelity A-1) played for an hour before crapping out. (I managed to bring it back to life by shotgunning all the caps.) Plus they won't power my Sound Labs speakers. Threshold,Accuphase are the ones I owned and remember the most. I kept a Accuphase p300 for many years and only recently sold it in the last 5 to 6 yrs. I still can't believe a Amp that was that complex sounded as good as they do,system dependent Offcourse. Anyway, one shouldn't partake in anything your spirit can't kill. Speed still kills, and opioids, alcohol, herbage and anything else should still be approached with a clear recognition of the baggage you're lifting. Jerry, by the time I got to L.A. in '79, the town was awash in coke. It was passed around at parties like joints were in the 60's. I didn't see what the big deal was until one night when I finally got enough of it all at once. I liked it a little too much, and never touched the stuff again. I can see how and why people get hooked on the stuff. From a reliability perspective, I've only lost a single 4 amp fuse (out or four) in my Adcom GFA amp and I've owned it since 1987 and it has been brutally abused. On the preamp, the pots/switches are getting a little noisy but the system still sounds great. Ever noticed how many coke users die in their 40 and 50's ?
" New Coke,Classic or Diet ? ;) "
If you go for new or classic, you won't need the diet. Still using a phase linear 400 series 2 in one of my systems. Cant believe it still works! I still have the Advent model 300 receiver that I use in a second sytem with small Boston Acoustic speakers. It’s well over 40 years old and never a problem! I also have the Advent model 400 table radio circa 1980 and that still works fine! I have an EKSC (Electron Kinetics) driving Hales Transcendence 5's. Two brands mentioned here, a nice combo! Although I'd love me some Transcendence 8's. I did have an original Electro Research A75, pure class A. Sweet. 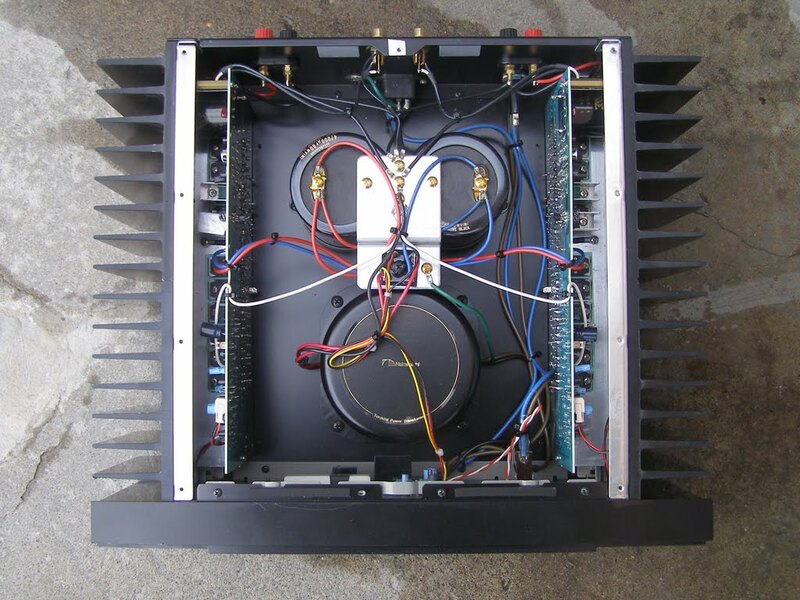 Spectral electronics were built to a different technical standard than most and featured a particular sound that was, and is still largely is distinct. The sound of the Spectral amps of that era compare favorably to that of modern high speed amps, and if not abused, can be recommendable. Among the most beautiful power amplifiers ever made. I'm not someone who buys really high end, but still using a Carver TFM-35 as my main amp. It's been passed back and forth between myself and my best friend who was the original owner. Just sold off the Infiniti Kappa 8's that it drove for many of the 30 years. It's still running original caps and hasn't been touched, including the lights in the meters that are still working, other than replacing a speaker terminal that was broken in a move. I really enjoyed the classe Dr9, super smooth sound. Also , the Nad 2200PE. The Nad was the first amp I ever had, I really enjoyed it. Obviously there's better out there, including the classe is much better, that being said I really loved the Slam and bright detail of the Nad. i had a haffier that i soldered together and then only one channel worked, but you could send it to the factory to get it working right. this was my first venture into separates. i also had a perreaux that sounded nice. I too am amazed a Phase Linear is still working, known as Flame Linears even when new. I had a 700B and it blew up on a regular basis. What I haven't seen mentioned is that all of these amps had large electrolytic caps in their power supplies and it is indisputable that these caps have a limited lifetime. It is debatable how long that is but 30 years is definitely over the limit. These amps will be transformed if they are re-capped. Electron Kinetics Eagle 7a still powers my low end after 20 years. -No urge to upgrade yet, cause I can't lift the beast, and the grip on the woofers is profound.